Well, some things came together today and I thought I'd update this a bit with what I've done so far - I've just NOT had time to put into this to speak of, but there has been enough small progress to warrant a post. The focuser is almost done. I've repainted the casting with automotive hi-temp wrinkle black. It turned out very well IMHO. The wheels OTOH are another story. I'm a bit upset with myself here. 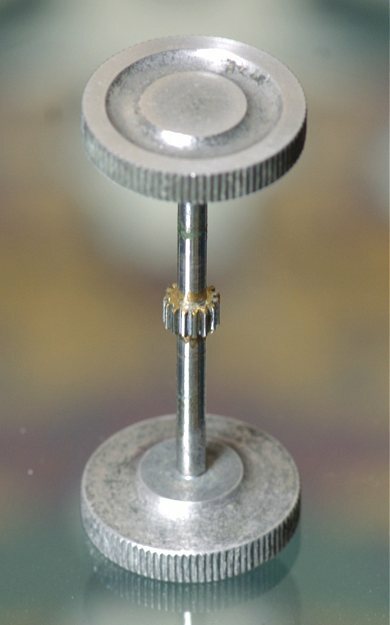 The first photo is one wheel I worked with a wire brush wheel on my Roto-Zip and it was something of a disaster. While it got the cruddy black paint off, it also ruined the casting. The second photo I sanded the face of the wheel to remove the paint, and while a bit better, it's still not what I want. I assume these are screwed onto the shaft (perhaps cemented?). I'm thinking of trying to remove them and replacing them with some off-the-shelf brass wheels from somewhere (maybe McMaster-Carr). I was wanting to use as much as I could from the rescue scope, first of all to save money on the resto, and secondly, it's easy to just buy new(er) parts in better condition, but true restoration takes some effort and I want to do what I can. It looks like I'll be buying new tube rings however. Once I looked at them closely I realized one had been broken and repaired. The repair is not half-bad really, but it's not at all what I want to put on the finished scope. So, I'm keeping an eye out for RV-6 rings at a decent price. I've seen some advertised recently, but they were more than I wanted to spend. I have time so I'll wait for a deal. Lastly today comes the tube, and my inspiration for posting. I had my sanding set-up (with dust collection) put together in the garage for another project and had a fresh set of sanding discs, so I took a short break from house prep (for selling) to sand the remainder of the tube. OK, not fully, but that's because I'll be removing 18-20" of tube length for the f/5 optics (the original primary is 50.25" FL). I also had my photo set-up assembled for the Broadhurst Clarkson pics, so I shot the smaller things with that. Anyway, now I need to figure out where to cut the tube and drill for the focuser tube hole. I'm thinking it should be as easy as subtracting the difference in FL of the two primaries and move the focuser hole the same distance. Am I missing anything here? No rush on this. I don't know when I'll have time to get back to it. Next I'll shoot it with high-build automotive primer and hand sand the primer to a smooth finish. My original plan was to finish this scope as close as possible to as it was delivered from Criterion. I wanted it to look like a f/5 RV-6 in the way it would have been delivered from the factory if they made it in f/5. I'm kind of thinking of changing that a bit. This scope is something of a resto-mod, and as such, I think I may want to make some subtle changes. 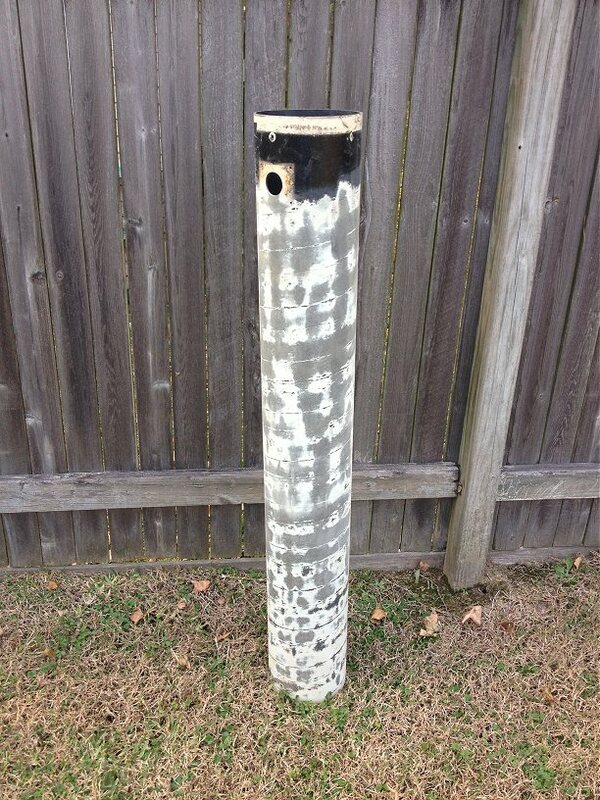 I'm thinking of trying to find a pearlized white paint for the tube. I need to repaint the finder body anyway. I've already mentioned possible fitting brass focusing wheels (since the originals are not up to the standard I want for this scope). I've also thought about using brass fasteners where they are readily visible. Usually I know what I want to do and don't much care what others think, but in this case, I'm kinda open to comments. Perhaps someone will spur me one way or the other. I'm really looking forward to finishing this scope. I think it will be a real jewel once done. Oh yeah, I'm also thinking very seriously of having the RA and Dec castings bored to accept Oilite bushings. CAVEAT: I am not any sort of ATM/restorer expert. Back in the day, I built my very first telescope. I made a mistake with my math, and the primary cell ended up too far away from the secondary. I did not drill out a new focuser hole. 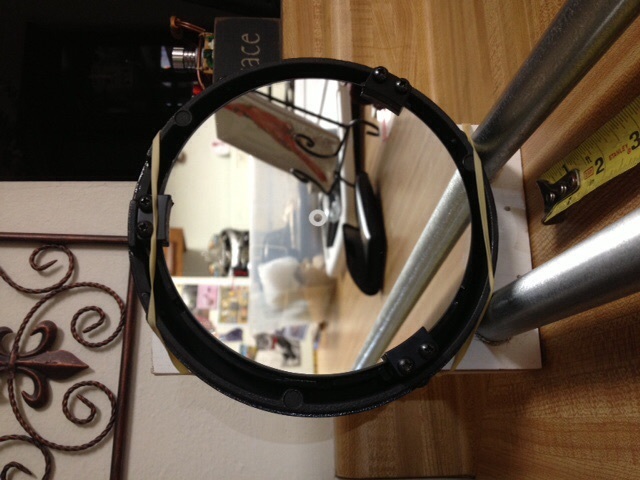 I unscrewed the primary mirror cell and slid it up in the tube and drilled new mount holes for the cell. George those rings come up frequently for sale on the Bay, AMart and here on CN. There is a pair on eBay now. Thanks Ken. Tempting. They are even from my hometown (to throw in a little nostalgia). But... With shipping they are very nearly what I paid for the entire RV-6 I am rescuing. I've having a hard time paying quite that much. In my little monkey brain, $35 shipped is a "reach for the wallet" price and $40 shipped is probably something I'd do with little hesitation. While these are only $5 more than that, and I usually don't quibble much, I think I can do better if I'm patient. In the end, I may just pay this much. I think the asking price is reasonable, but once you add shipping, it just makes me keep looking. Use Dale Keller's NEWT program here: http://www.dalekelle...ft/newtsoft.htm I used it to figure out the Horsetrail Cave Tube and it came out perfect. There really isn't any guessing allowed when figuring out where to mount the primary, secondary and focuser. Oh cool! Thanks for that resource Dan! I'm remotivated to get this done. God how I wish I had more free time right now. I'm so close to be able to finish the OTA, but it will have to wait a couple of weeks. How about that? Found this pearl white paint. Gonna have to try it out. I've used their Oil Rubbed Bronze extensively as I've prepped my house for sale. This paint goes on VERY nice. Like I said, I'll have to try it. I think a pearl white finish for the tube will look nice. Okie dokie, bringing this thread back to life since there is some movement again. Minor movement, but forward movement. Current house is on the market and settling into where we'll be for the next 8-12 months (give or take). Just brought all the RVC-6N stuff over to Trudy's house and looking at actually getting things done. First up is various calculations using the Newt Calculator that Dan suggested above. Got all the pertinent numbers, but one. Unfortunately, that's a big one. Does anybody know if the focal length of the C6-N is typically written anywhere on the mirror? I couldn't find it, nor an engraving. There is some grease pencil writing on the side of the mirror (4 letters - NO, not like that). The letters are gibberish to me. If I calculate the focal length in inches using 750mm as gospel (yeah, I know, bad idea) I come up with 29.5". With that I'm ready to go. Or not. In my calculations I've included 0.5" for extra focuser travel, hoping to allow for some slop. I also know there is some adjustability in the mirror cell, depending upon how loose or tight I make the springs. I figure this gives me 0.25"
Will that total fudge factor of 0.75" be enough to assume the focal length, or am I looking for trouble? I'm trying to avoid cobbling together a Foucault tester just to measure the FL. Any other suggestions in this regard? I'm so ready to start moving forward on this again. I just don't want to shoot myself in the foot. My monkey brain says to measure the FL. The other side of my monkey brain wants to be lazy, but I think I could pay dearly for that. Oh, BTW, when I was in Tucson in February I scored a set of tube rings at about half the going rate, so that's done. 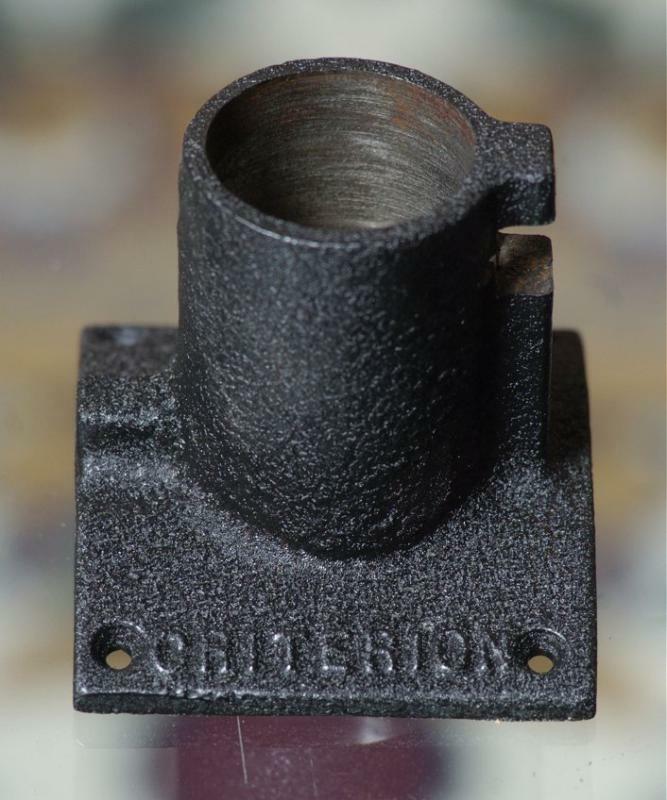 I also bought a 1.5" diagonal and spider through the CN classifieds that I'm waiting to get here. The C6-N diagonal is too large (and overly offset) and the RV-6 diagonal is too small. While I was trying to do this generally as cheaply as possible, I want it to turn out right, so I'm spending more than planned, and probably, in the end, more than the scope will be worth, but what the heck. It's going to be fun. Somewhere along the line I think I'd like to score some Criterion EPs just to keep the theme up, AND I plan to use this as my outreach scope. It's definitely going to be a restomod scope, but the trick to these is keep as much stock or stock-looking as possible. 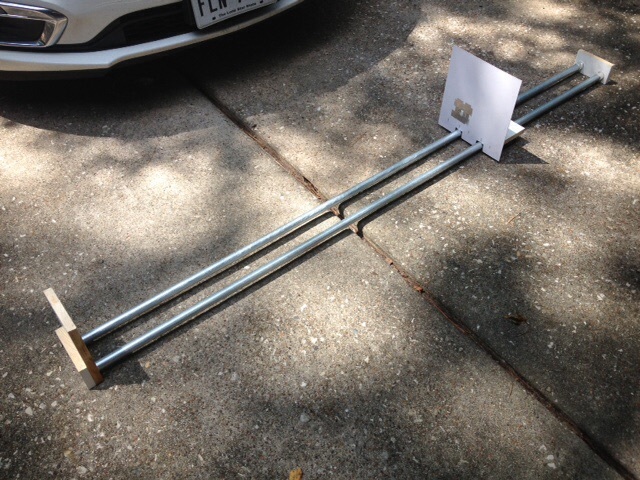 George, for the Tinsley, I built an optical bench using 1"x4"x48" slats. Just a long "V" with the primary fixed, and the secondary on a clamp that I slid back and forth. I used the Tinsley's mirror cells to keep things as close to the final arrangement as possible. I used a tower about two miles away for the first tests, and then the Sun to nail the best back focus position. A Redneck approach, but it worked. To figure out the FL of the Horsetrail Cave Mirror, I extended a tape measure from the mirror, which was leaned up against the fridge, then used a flashlight and a piece of paper at the same distance from the mirror - it will be in focus at 2X the FL if I remember right. 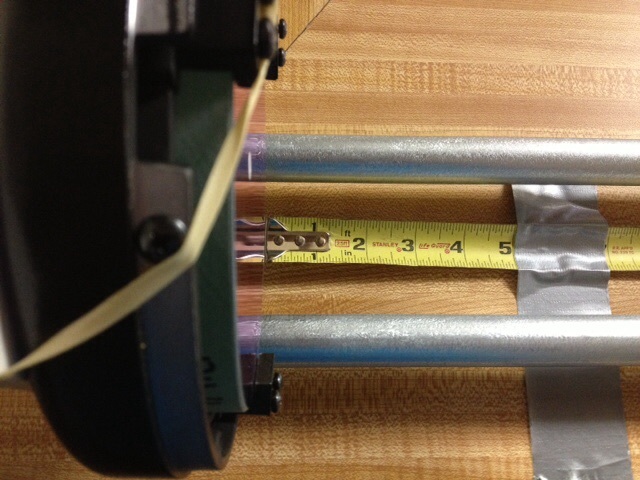 The flashlight's filament is reflected off the mirror and focused on the paper by moving them in unison and then noting the distance with the tape measure. A 12.5" mirror is a lot more thick than a 6" and could be stood on edge without worrying about it going anywhere - I used a couple of wedges to keep it from rolling. You may want to use something better to hold it in place. The kitchen was the only place where I could get enough distance with a 93" FL. George did you paint the tube yet with that Pearl Mist paint? Curious about how it looks. I looked all over for that color for one of my last projects, but no one had it locally. Thanks Dan, that's something I can do easily enough. I knew someone would have a great idea. Not yet. That is why I'm trying to work out the FL. 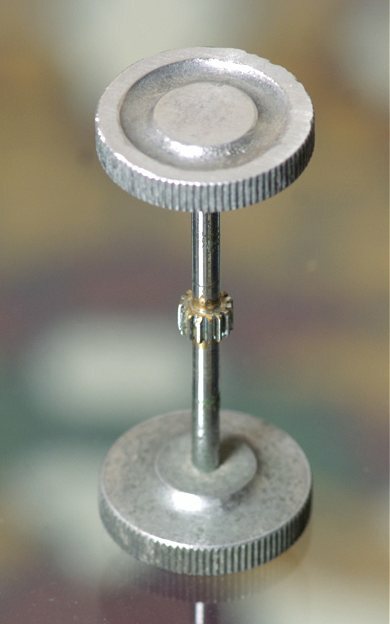 Once I have that, I'll have all the measurements I'll need to cut the tube and drill the hole for the focuser. Then I can paint it. I can't wait to see how this turns out. Close enough to stock, but different enough to be kinda cool. The essence of a restomod (auto correct changed that to restrooms, hehe - good thing I caught it ). 2 times the focal length is the mirrors radius of curvature. It's the location you would set up a tester during figuring. OK, I've got some updating to do. Many thanks to Dan for the suggestion of how to measure the focal length of the C6-N mirror. Turns out it was nearly exactly f/5, but I'm getting ahead of myself. I built a quick and dirty optical bench to make the measurements. All it cost was about $11 and some scrap wood. See pic below. Edited by Geo31, 20 September 2015 - 02:39 PM. OK, I put the mirror on the bench while still in the C6-N cell so I could rubber band the cell to the bench. It worked better than expected. Edited by Geo31, 20 September 2015 - 02:42 PM. 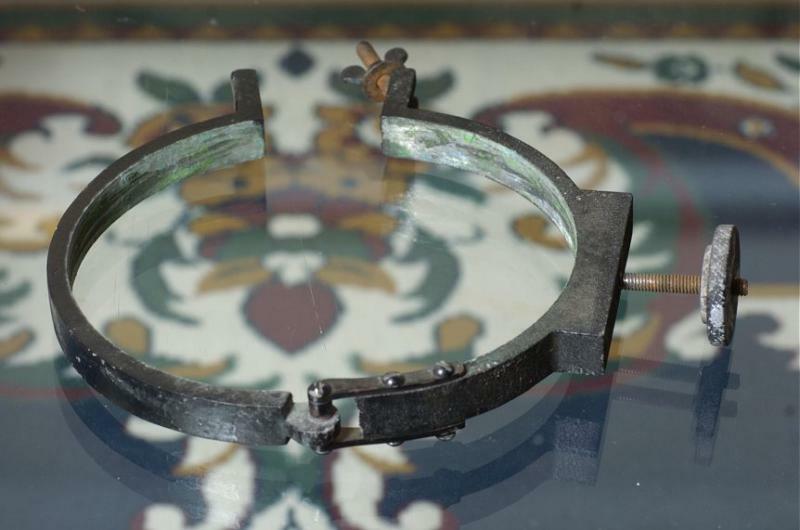 Another view of the mirror "attached" to the bench. The rubberbands really worked great. 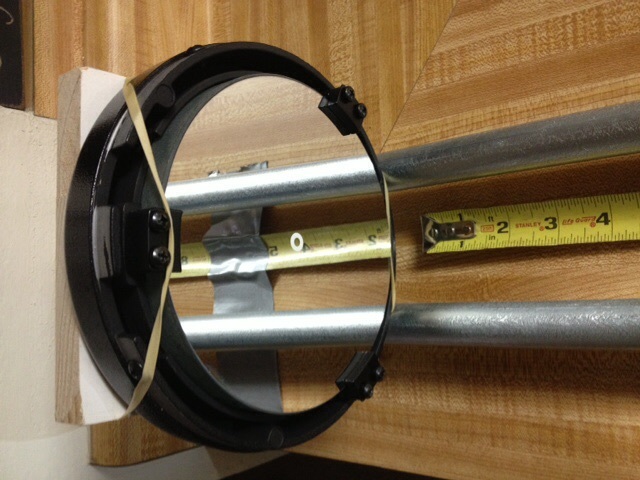 I taped a tape measure to the counter with the end right at the face of the mirror.